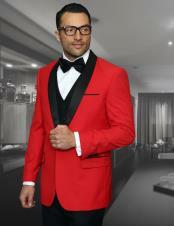 Have you ever thought of how a men's suit in red looks like? 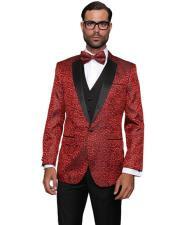 Well with a lot of colors that are available in the list of men's suits colors, red is one such popular color that is welcomed by many men. 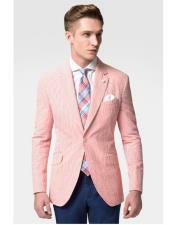 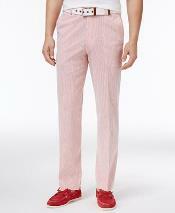 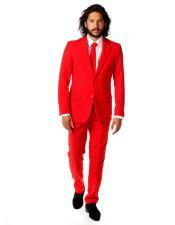 A color as bright as red might look completely informal choice for getting dressed in a style of men's suit. 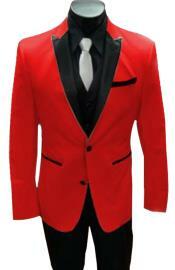 Buy a red suit, or a classic men's red suit jacket and you will not regret the choice of having bought it. 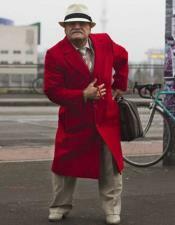 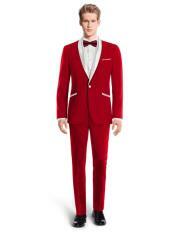 Instead of wearing an all red suit, that might make the men feel a little awkward, red dress suits for men come in varied number of options. 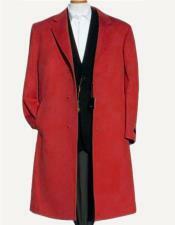 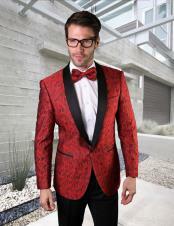 There are many different color combinations that are available in men's red suits. 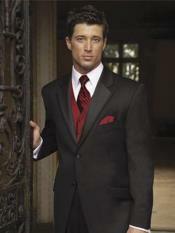 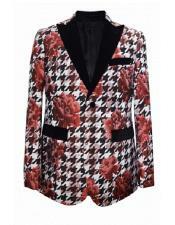 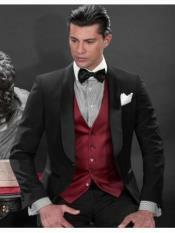 For instance the black and red suit combination looks classy and stylish. 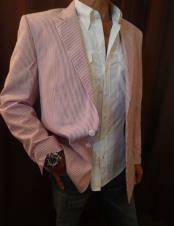 Many men choose to get dressed in such color combinations that are not only different in a crowd but also add a unique yet trendy touch to their personality. 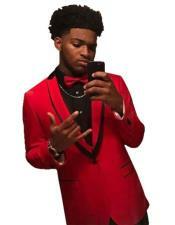 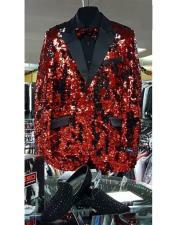 Suitable for all occasions including prom nights, the red and black prom suits are sold as a speciality in many online stores. 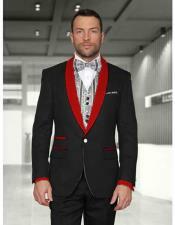 Choose to wear a red and black suit jacket and impress the crowd at any evening party or choose to look perfect for a dinner date. 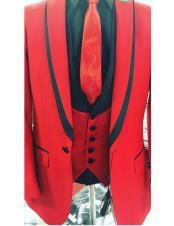 Another exclusive combination for red suits is the red and white combination. 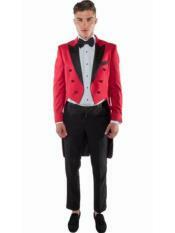 Many grooms are seen getting dressed in a red and white tuxedo for their big day. 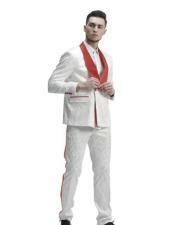 Wedding occasions are graced wearing red and white suits that look different and very much for the occasion. 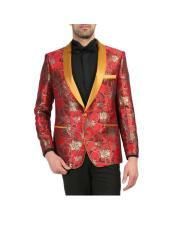 If you are very particular about having your wedding suit to be the most grand, gaudy and noticed ever, then never hesitate to try the red and gold suit. 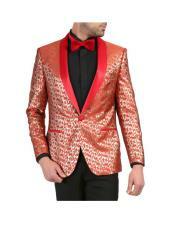 Gold adds an auspicious touch to the red man's suit. 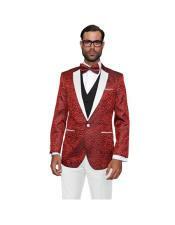 You can also skip the choice of a red and gold suit and consider the red and gold tux that will add a more added look for the groom's suit. 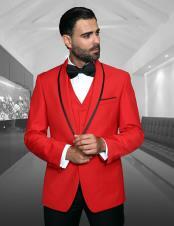 If you are too particular about whether to choose a red suit or not, you may just go ahead with a red suit jacket, and pair it up with any other dark shade jean or dress pant, which will complete an informal look. 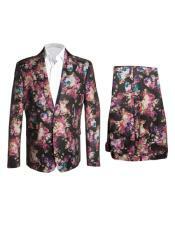 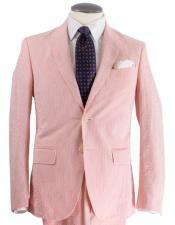 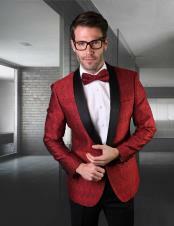 Mensusa sells the finest collection of men's suits, blazers and fashion accessories. 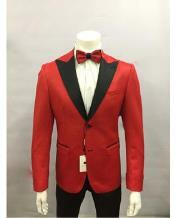 If you are looking to buy red suits, blazers, tuxedos or sport coats for men online, know that red blazer outfits for men will never go out of style and can be one of the choicest options ever available. 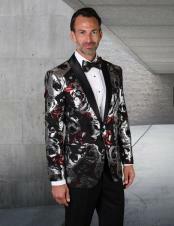 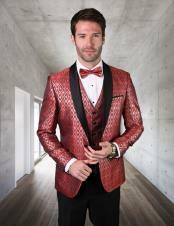 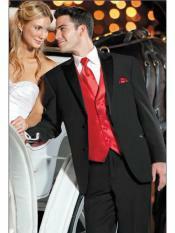 Browse this category for amazing collections in red suits, red tuxedos available in different color combination options. 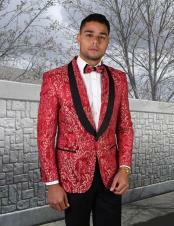 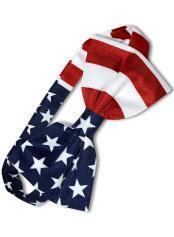 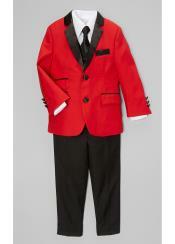 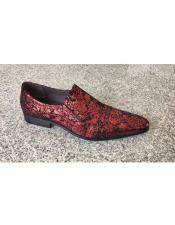 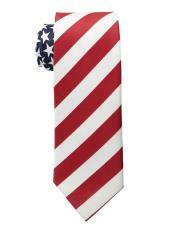 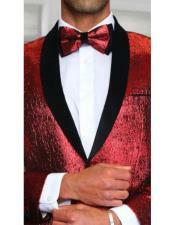 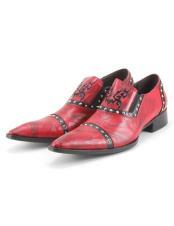 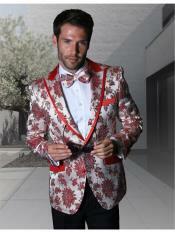 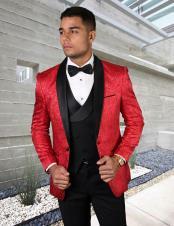 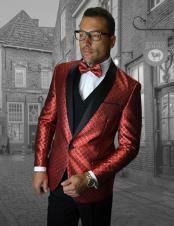 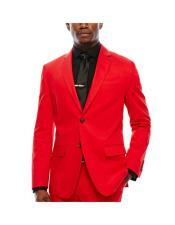 Also find matching accessories, dress shoes, neck ties for the red suit or red blazer or red tux at our online store.